Shadows of Her Past is a fast paced action RPG. Take control of Enchantress Queen Hermielle as she travels through her past in an attempt to escape her current prison. The game is inspired by classics such as Diablo II and Gauntlet, and the game play focuses on a skill based battle system where preparation, accuracy and speed are paramount. The Indie Accord is a group of indie game developers whose goal is to deliver unique, quirky, and interesting games with the utmost quality. We are made of many members and friends. One of our main goals is to create a talented group of people who can work together on many projects, with members joining and contributing organically. This allows us to share our expertise while simultaneously receiving help and advice in our weak areas. 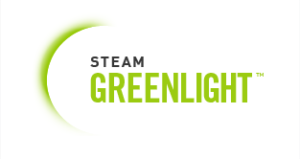 We have developed multiple award winning games, and are excited for this foray into Steam releases! In Shadows of Her Past the player controls Hermielle, a master of Spectra. Spectra is the main form of magic in Shadows and is based on color. In-game the player can choose one of each type of attack before the start of the level. You will want to choose attacks that both fit your play style and the modifiers on your wands. For example, a red wand would be especially good when paired with the first attack below, Meteor Strike. The types and some short gifs of each ability are shown below. Combat abilities are not impacted by a cooldown. Instead they are controlled by Hermielle’s attack speed attribute which can be changed through various wand and gem combinations. Sends a flaming rock at the designated area. Has the potential to burn the target for an additional 1-3 seconds. Sends an arc of lightning at the target that has the chance to stun them for 1 second. Has a chance to jump to nearby enemies. Summons a minion to fight alongside Hermielle for 15 seconds. Hermielle can command the minion to self-destruct, dealing damage to everyone in proximity. Summons a frost storm around Hermielle, sending out shards of ice in every direction. Has a chance to completely freeze enemies. Controls the spectra of an area to transform into a marsh for 10 seconds, slowing enemies by 40% and spawners by 15%. Sends a gust of wind in front of Hermielle, pushing back enemies and dealing damage. Type 3 abilities are used to bolster Hermielle’s attack and defense. When used in conjunction with other abilities, they can become very powerful. Hermielle creates a barrier of Spectra to protect her from all incoming sources of damage. Doubles the impact of Hermielle’s next spells for 15 seconds. Speeds up Hermielle’s movement speed, cast speed, and teleportation recharge rate for 15 seconds. Our Steam Greenlight campaign is still running, so we would appreciate any and all support/feedback you could give during the campaign. As always, we are open to any suggestions, comments, and concerns about our projects and are more than willing to answer any questions. Vote for us here! The Indie Accord is proud to announce our newest full length game: Shadows of Her Past!